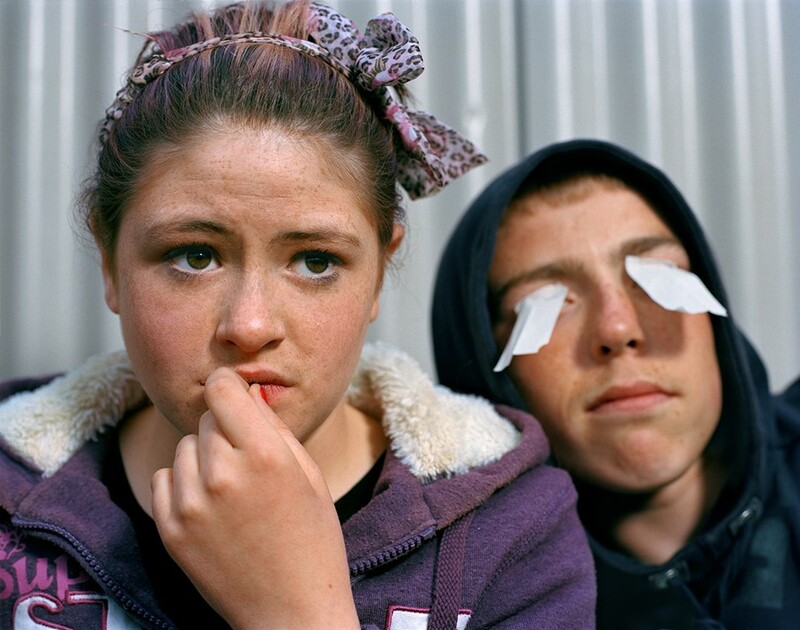 In 2009, photographer Doug Dubois met a group of teenagers from the Russell Heights housing estate in a seaport town on the south coast of County Cork, Ireland, called Cobh. What followed was a five year journey that saw Dubois weave in and out of their lives as they grew, made mistakes, made friends, fell in love and fell out with one-another. While he was completing a one-month artist’s residency at the Sirius Arts Centre nearby, Dubois became drawn to the ‘insular’ nature of the community, finding that everyone was either related, partners or ex-partners, and personal matters were shared, discussed and defended in a place where everybody’s business is up for grabs. Dubois found a particular fascination in the limbo that these teens existed; somewhere between adulthood and childhood – which they navigate candidly in his photos, now published by Aperture in My Last Day At Seventeen. 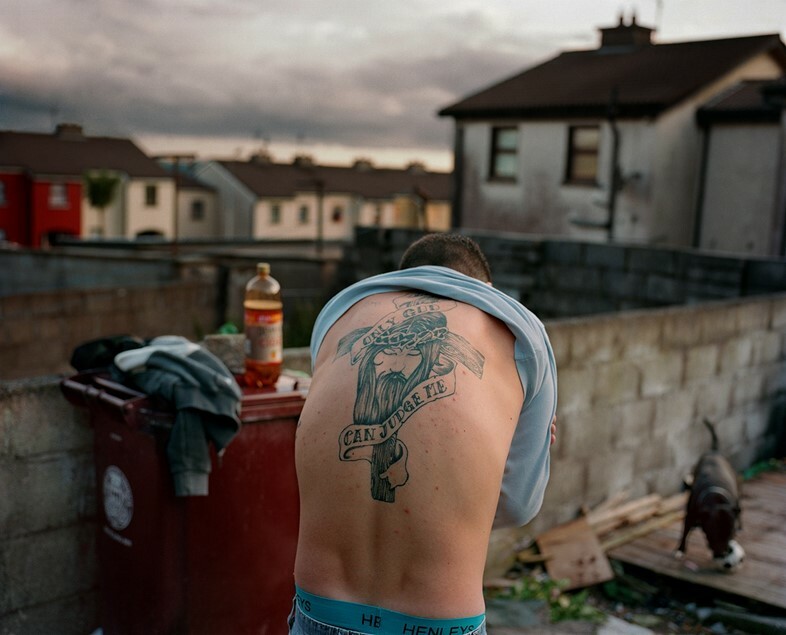 Fooling around with guns, drinking bottles of cider and beer and playing dress ups with wedding gowns are contrasted against family life and the everyday spirit of community. The book is supplemented by Dublin artist Patrick Lynch’s comics detailing the daily life of the estate – from buying baby furniture to cooking Pot Noodle, smoking weed and playing XBox, My Last Day At Seventeen steps between portraiture, documentation and performance and is a raw look at the uncertainty that faces kids and families growing up in Ireland today.